This is another massive game in the Euroleague and fans attending this one could get to witness a bit of Euroleague history. Boban Marjanovic is hunting down a place in the record books in this game but for Panathiniakos, a place in the playoffs is at stake. The thing is, at half-time, the complexion of the game could change very quickly. 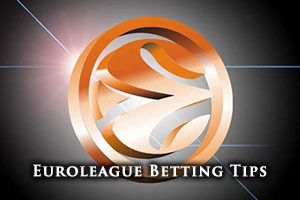 At this point, the teams will know the full-time score from Berlin and if Maccabi Electra Tel Aviv win away from home, Panathinaikos are assured of fourth place in the group and the playoff spot that goes with it. This could lead to a drop off in desire and hunger from the away team. However, if ALBA Berlin triumphs at home, the Greek side will know that they need to win to make it to the playoffs, and this could provide some much needed spark and drive in the second half. No matter what happens in the first half, it may be a result far away from Belgrade that has the biggest impact on the second half of this one. The home side have a 9-14 record going into this game, holding a 6-4 record in the regular season and a 3-10 record in the Euroleague. The playoff hopes of the home team have been dormant for quite a while. The Greeks hold a 12-11 record in the Euroleague this season, holding a 5-5 record in the regular season and a 7-6 record in the Top 16. For average points scored, there isn’t too much in it but the Greek team leads 76.0 to 75.7. Boban Marjanovic has offered up an average of 16.8 points per game this season for Crvena so far and he is clearly the man of the moment for the home team. The player is already in the r4ecord books for delivering 15 double-doubles in a single season and he has managed to grab double figures in his last 12 games. More impressively, Marjanovic has grabbed double figures in 23 of his last 24 games in the Euroleague. If he is able to grab 9 rebounds in this match, he will take top place with respect to the most rebounds in a single Euroleague season. Marjanovic already owns the Top 16 record for rebounds with 133 in a single season. It isn’t all about Boiban though, Marcus Williams has been an integral player for the home side this campaign, providing an average of 6 assists per game. AJ Slaughter has been the top points grabber for the Greeks this season with an average of 10.2 points per game. Esteban Batista has offered up an average of 6.0 rebounds per game this season while veteran Dimitris Diamantidis has offered up an average of 6 assists per game this season. With a 24-2 record, Crvena are sitting pretty at the top of the Adriatic League. Their most recent game in the league was a 76-69 win against Metalac Farmacom. As for Panathinaikos, they are in second place with a 20-3 record, behind Olympiacos who have a 21-1 record this season. The most recent domestic game for Panathinaikos was an away game against Panionios, which resulted in a 46-79 win for the Greens. Taking Panathinaikos with a -4 handicap, at odds of 1.90, is likely to be a sound bet for this game, unless Maccabi blow it in the earlier game! In the Over/Under market, look to go OVER 151.5 at odds of 1.90. Bet Now!